This is Max. He’s been in the building trade for 7 years now, and he’s also a pro at fitting Maxtop. Today he’s sharing his wisdom on some workwear essentials including what to consider and what to buy. With years of experience in the trades, you come to appreciate the quirks of the job you just don’t get if you’re parked behind a computer for eight hours a day. Some of these things are bloody hilarious, others will have you rolling your eyes and I’ve got to admit, some will make you want to take your hammer straight to the nearest hard surface. One thing’s for certain, every installer will be able to relate. Tartan paint, a glass hammer, elbow grease, spirit level bubbles – the list goes on when it comes to the apprentice shopping list. You were either on the receiving end of the pranks or you’ve dished out the goods in your time, we’re all aware of these shopping list items. I’ll never forget the look on the face of my first apprentice when he returned from Screwfix empty-handed and baffled. Whilst us honest fellas are doing our bit, there’s always a joker ready to take the p*** and take advantage of well-meaning customers. Plumbing shortcuts, shoddy unit-fitting, even doors fit the wrong way around. Unbelievable! You name it, I’ve seen it. Getting called in for work and realising the job is going to be far more difficult than expected is a kick in the teeth to the say least. Especially when you know the cowboys have profited from their lazy work. Now, I’m all for a friendly favour, but sometimes family and friends really take the biscuit. “Can you just…?” often turns into a half day job which you can’t get yourself out of. I’ve even been roped into fitting a full kitchen worktop without realising! You’ve just got to hope that your good deed will see you on the receiving of a nice bottle of red or some beers. What a feeling! When Friday finally comes around and you’ve got your work wrapped up. It’s time to hit the road before the rush hour traffic hits. You fly home, what a dream. Then it’s straight to the Chinese for a chicken chow mein with salt and pepper chips, of course. After a day slogging away with tools, heavy lifting and starting at the crack of dawn, the sense of real achievement and satisfaction you get is unbeatable. When I finally get chance to put my feet up after a long day at work, I know I’ve earned that first brew and a crumpet when I walk through the door… heaven! 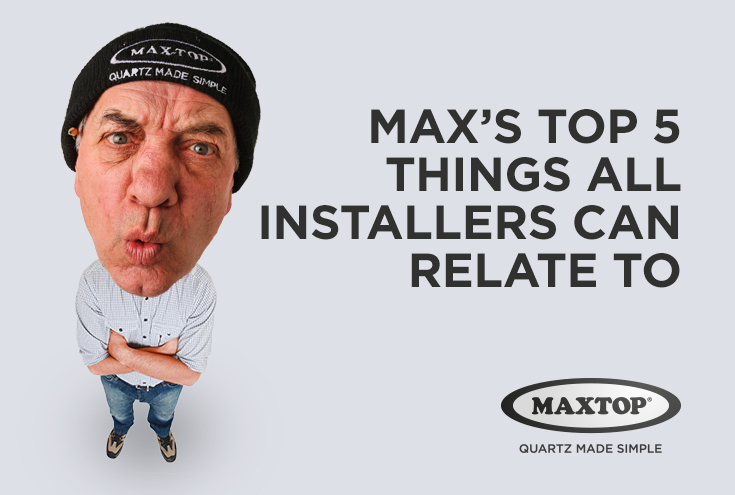 For more advice and stories from Max, updates on our training courses and products, and generally top trade banter, you can follow us on Facebook and Twitter.